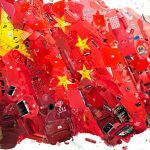 History of the Future: how China takes over world e-commerce? The Internet has now completely changed the way people buy and sell goods. Do you remember how people bought airplane tickets and booked hotels offline? The idea of E-commerce was only introduced a few decades ago. However, it is now so deeply penetrated in every aspect of people’s daily life that the thought of living without it is incredibly inconvenient and even unfathomable to many people. In fact, more than 15 percent of all retail transactions in China were attributed to e-commerce in 2016, with sales totaling more than $752 billion (5.16 trillion CNY). This is the world’s largest e-commerce market and is still growing at a mind-boggling rate. Many foreign retailors began to realize this huge opportunity China presents for cross-border online retail businesses and thus seek to enter the Chinese e-commerce market. To help these companies gain a foothold in China where companies have limited or no experience of doing business in, we introduce our E-commerce Study. The Study is a very useful tool as it provides a basic understanding of the market and an overview of some of the key challenges a company may face in the process of market entry. 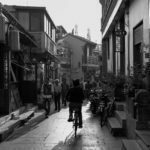 Please look forward to a tetralogy of blog posts that will touch upon the different aspects of China’s E-commerce as a trailer for the Ecommerce study. This first article in the tetralogy will look back to some of the major milestones and key players that led to today’s flourish of China’s e-commerce empire. History of e-commerce in China dates back to 1990 when leading technologies such as Electronic Data Interchange (EDI) and Electronic Funds Transfer (EFT) entered China. E-commerce then was only defined as the process of execution of commercial transactions electronically. Thus, technologies allowing users to exchange business information and do electronic transactions mark the era of electronic data exchange and the beginning stage of China’s E-commerce (1990-1993). Golden Gate Project aimed to link custom points through a national EDI system, and promote paperless trade. 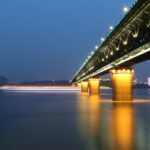 Together with 9 other Golden Projects that focused on areas including healthcare, transportation, etc. 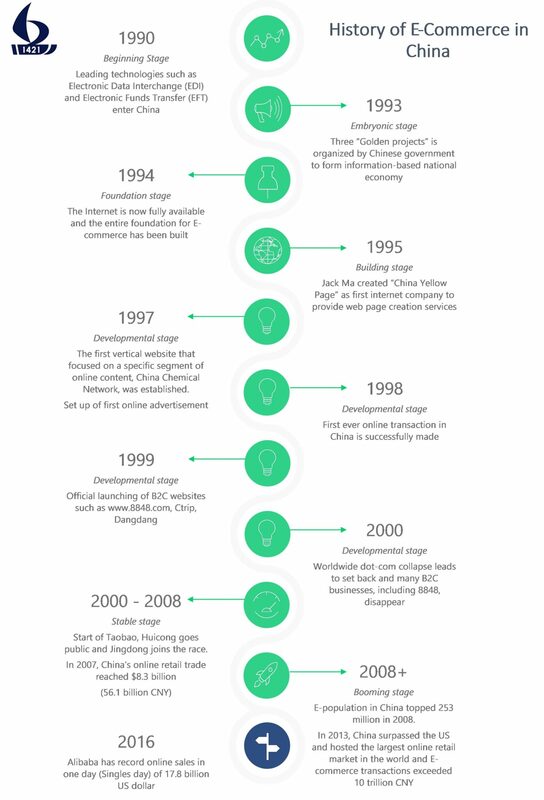 and the Internet fully available in China in 1994, a solid foundation for E-commerce was in place. In 1995, Jack Ma created ‘China Yellow Page’, which was the first Internet company to provide web page creation services to enterprises. 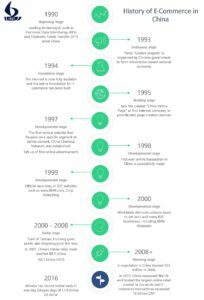 Later in 1997, the first vertical website that focused on a specific segment of online content, China Chemical Network, was established. From there to 2000, China’s E-commerce had entered a new phase, the Developmental Stage. This phase was characterized with the set up of first online advertisement, the running of Chinese Goods Ordering System (CGOS) in 1997, the first online transaction made in 1998 and the official launching of B2C websites like www.8848.com, Ctrip, Dangdang in 1999. At the same time, companies, governmental and educational websites, etc. also began to set foot in the Internet market. However, the worldwide dot-com collapse in 2000 led to unfortunate results and many B2C businesses, including 8848, disappeared. The turbulence went into a Stable Stage from 2000 to 2008. In 2003, the Alibaba Group, the company that Jack Ma founded, established Taobao (including T-Mall) and stepped in to the C2C market. HuiCong went public in Hong Kong Growing Enterprise Market (GEM) and became the first listed B2B E-commerce company in China. In 2004, Jingdong also joined the race. 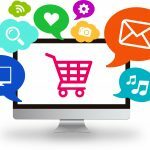 With the rapid growth of Internet users, e-commerce had become the new trading channel for many businesses and individuals. 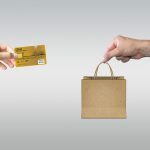 The “brick and mortar” retailers recognized the advantages of e-commerce and began to add such capabilities to their websites marking that e-commerce has entered into the sustainable development phase. In 2007, China’s online retail trade reached $8.3 billion (56.1 billion CNY). The drastic influence e-commerce had to Chinese economy gradually extended to the supply chain links, logistics, online payment and other supporting services. Along with the 2008 Beijing Olympics Game, E-commerce entering the Booming Stage had led China onto the world’s stage in spotlight. In 2008, E-population in China topped 253 million, which surpassed the US for the first time and became the country with the highest number of Internet users. In 2009, Alibaba initiated its sales day on Nov. 11th and generated sales of $7.35 million (50 million CNY) with only 27 participating sellers. With the convenience, safety, and friendly user experience of e-commerce having improved tremendously, in 2013, China surpassed the US and hosted the largest online retail market in the world. E-commerce transactions exceeded 10 trillion CNY; online retail transactions topped 1.85 trillion CNY, equivalent to 7.8% of total retail sales of social consumer goods. In 2013, Alibaba Group partnered with other logistic and financial corporations and started Cainiao, which aims to build a smart logistics network (CSLN) that can support a daily average of 30 billion retail sales (about 10 trillion annually). This implies that in 5-8 years, goods can be delivered to any region of China within 24 hours. China’s logistics volume reached 14 billion very shortly after the initiation of such network, and became the largest in the world in 2014. E-commerce in China has a short history but it evolved fast, starting with primitive electronic data exchanges in early 1990s and the first online retail transaction in 1998 all the way up to the present-day popularity of the e-commerce giants such as Taobao and JD. In 2016, the Internet penetration rate reached approximately 60%, which is an estimated 731 million Chinese people who were active online, double the amount of U.S population. On November 11th 2016, Single’s Day, the turnover of T-Mall and Taobao was $18.2 billion (120.7 billion RMB) surpassing Black Friday and Cyber Monday’s combined revenue. 657 million parcels were sent out in total, the first order which was delivered only took 13 minutes and 19 seconds. The world now is really taking notice of this lucrative market, whose sales for 2017 are expected to top $899.1 billion, representing 47% of the digital retail sales worldwide, and the huge opportunities it presents. This article was written by Maxime Van ‘t Klooster and Nathan Jansen. Special thanks goes out to Ruoyi Xi. For more information, please request our China E-commerce White Paper.